I’d like to thank Heluva Good! for sponsoring this post. The heat is definitely on, and I’ve all but abandoned my range in favor of our back deck and grill! 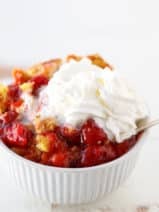 To keep our grill fare fresh and flavorful, I’ve been looking for simple but tasty recipes that I can whip up without spending too much planning. Let’s face it, one of the best things about summer and grilling is the easy, breezy nature of it all. This summer I’m on a mission to soak up every ounce of summer sun and fun. 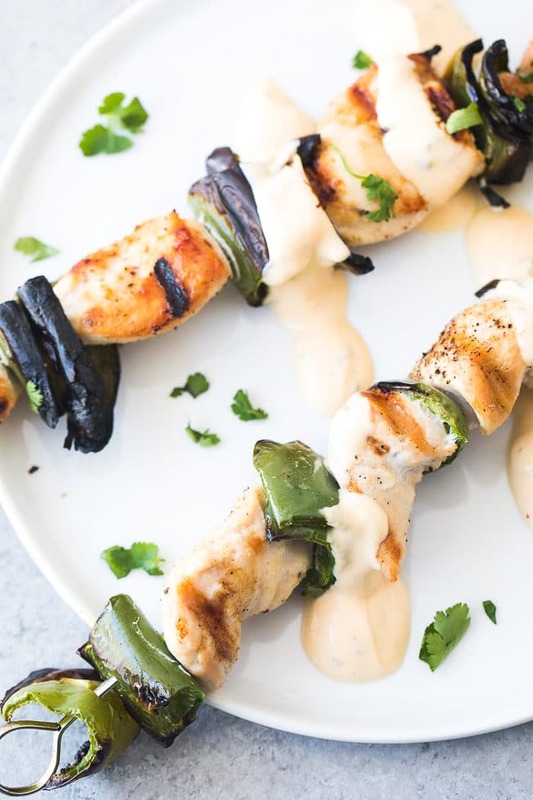 I’m also on a mission to eat ALL THE TASTY FOOD—like these scrumptious chicken skewers with Heluva Good! Jalapeño Cheddar Dip! Never thought of creating a whole meal or a special snack around a dip? Well, let me tell you… you’ve been missing out! Sure, Heluva Good! dips are perfect for classic chip or veggie dipping, but with such an amazing flavor, there are so many more things you can do with their incredible dips lineup. I’ve been sort of obsessed with the creamy KICK of Heluva Good! Jalapeño Cheddar Dip this summer. 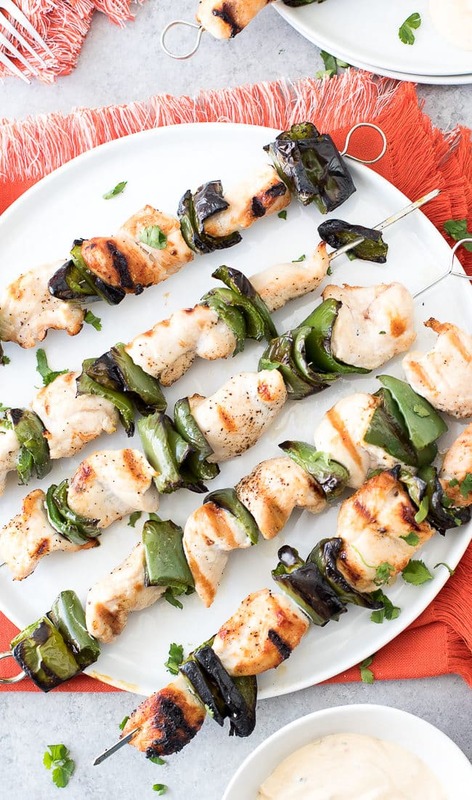 The flavor is so bold and delicious that it does most of the work in my easy chicken skewers recipe. I LOVE the fact that I can throw some chicken and peppers onto the grill with just a little salt, pepper and oil and then rely on yummy Heluva Good! Jalapeño Cheddar dip to level-up my skewers. 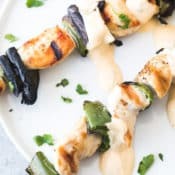 Yes, these easy chicken skewers and dip will work fabulously as an easy summer meal, but, I love making this dish for some extra-special, Saturday afternoon snacking. 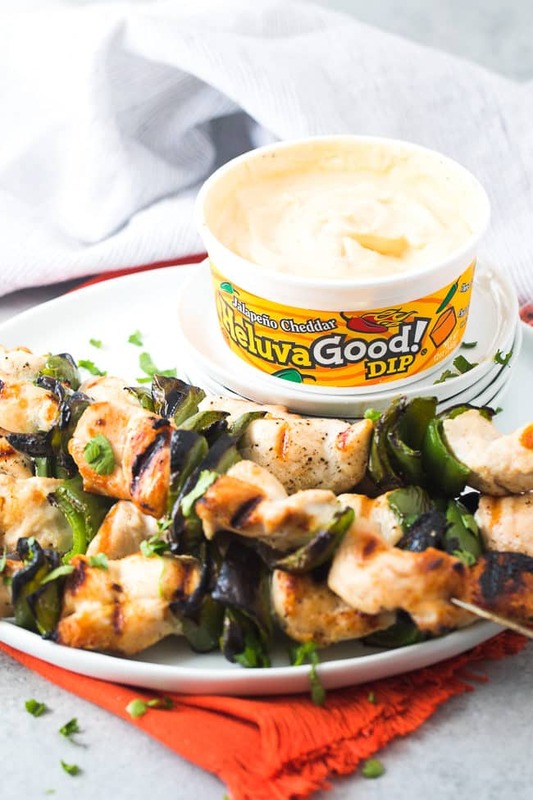 Who wouldn’t love big plate of juicy, grilled chicken and pepper chunks and a cool spoonful of Heluva Good! 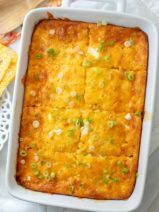 Jalapeño Cheddar dip? 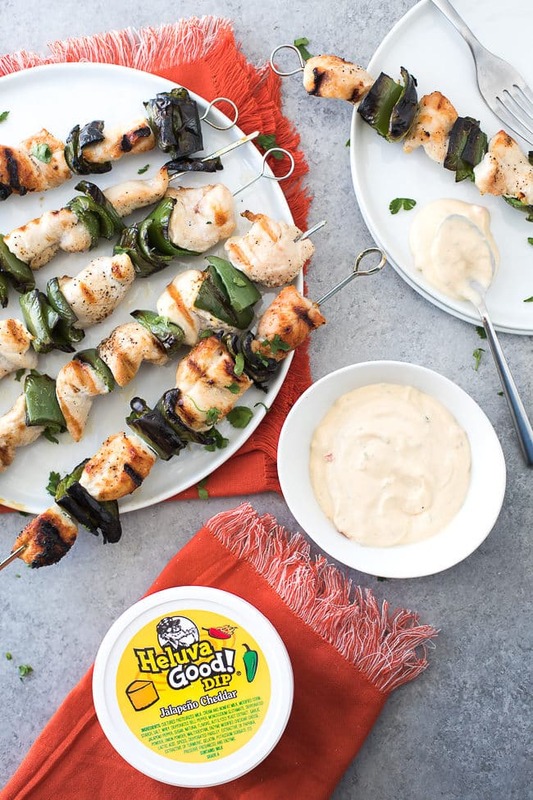 You can slide the chicken and veggies off the skewers and serve on a large platter with a tub of Heluva Good! in the middle. 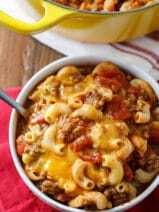 It’s a wonderful family-style snack that’s perfect to enjoy outside with a giant, ice cold glass of lemonade. Heluva Good! 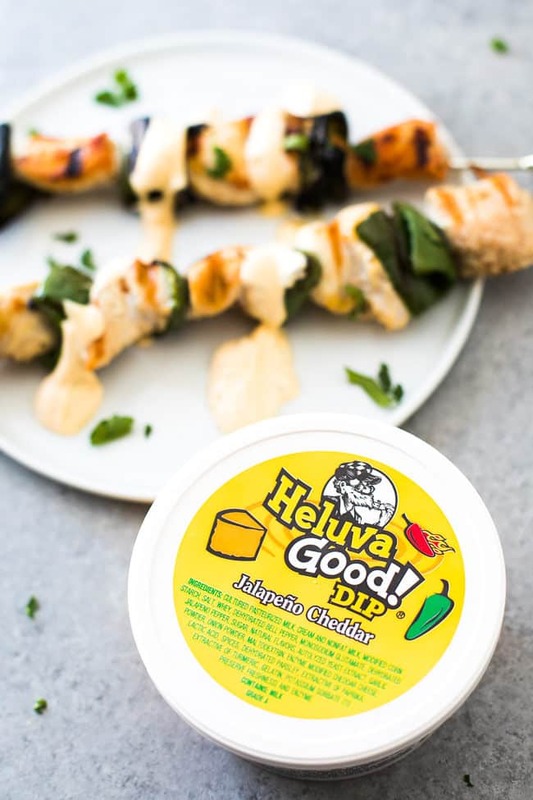 offers an assortment of flavors, so if jalapeño isn’t your thing, you should totally stop by your local neighborhood market and pick up Heluva Good! French Onion, Buttermilk Ranch, White Cheddar & Bacon or Bodacious Onion dips. Just imagine all of the creative ways you can use these incredible dips to create some truly tasty summer snacks and family meals. I hope you enjoy this summer snacking idea. Stay tuned in the coming weeks as I share more creative ideas for enjoying next-level snacking featuring Heluva Good! dips. Cut peppers lengthwise and remove the stem, seeds and membrane. Slice into 1″ pieces and boil for approximately 1-2 minutes to soften. Drain and set aside. Cut chicken tenderloins into 2″ pieces. Add to a bowl and coat with 2 tablespoons olive oil, salt, pepper and garlic powder. String chicken and peppers onto metal or bamboo skewers, alternating between chicken and the jalapeños. Lightly oil the grill grate. Place the skewers on the grill. Cook for 5-7 minutes on each side, until chicken juices run clear. Serve with Heluva Good! Jalapeño Cheddar dip and enjoy!